Private 2700 Lionel Arthur Harris, 9th Battalion, Royal Warwickshire Regiment. Lionel was born on 23 April 1895, the son of Ernest Harris and his wife Marion Ada née Parsons; he was the fourth of their five sons his elder brothers being Cecil Edwin (born 1886), Ernest Claude (1889) and Alan (1891). Paul (1900) was the baby of the family. A sixth child died in infancy. 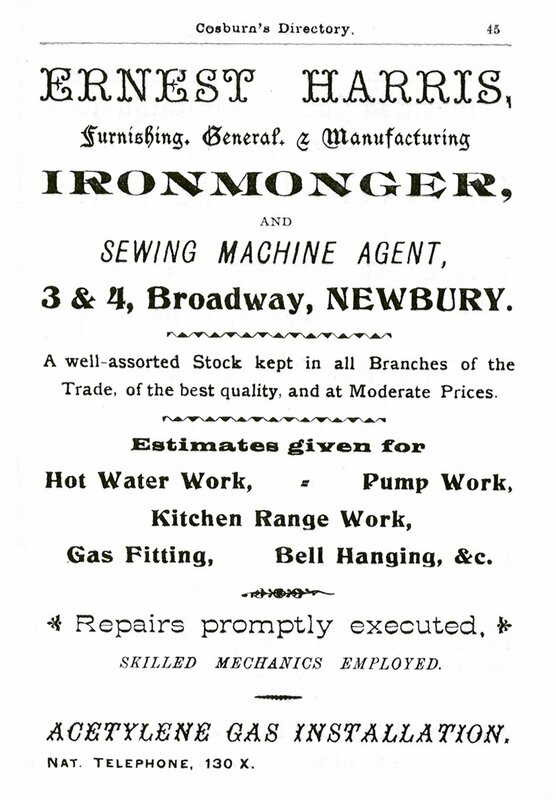 His father, Ernest, was a shopkeeper, starting in Cold Ash with a smithy and village store before moving to Newbury where he took on an ironmongery business at 3 The Broadway; he later took on the sewing machine shop next door and combined the shops. 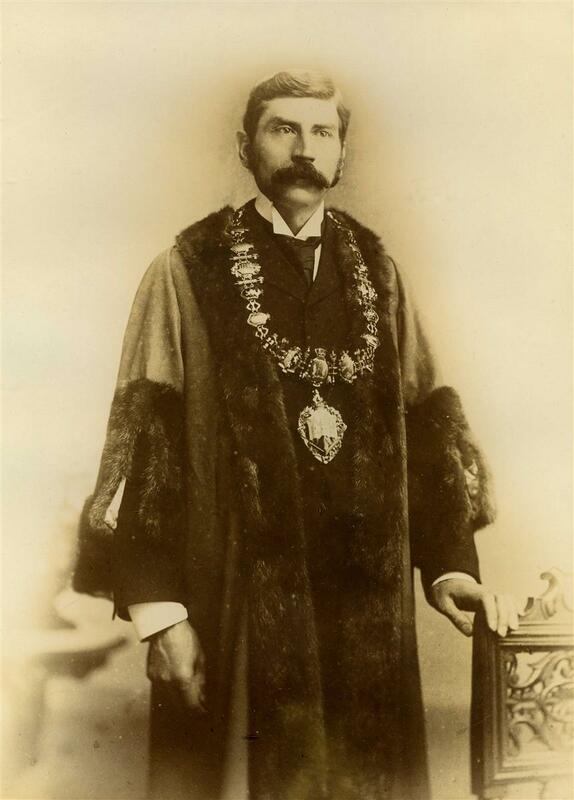 He was active in local politics being elected as a Borough Councillor; he became Mayor of Newbury a few months after Lionel’s birth in 1895. Lionel was educated at Bloxham School (1906-1909) and Newbury Grammar School (1910-1912) but did not stand out at either (ie he was a typical pupil). The Newbury Grammar School magazine The Newburian had little to say to mark his passing apart from noting that ‘he was the winner of a record Senior Run’. Following his schooling he became an engineering apprentice at the Humber Motor Works in Coventry, where he was working when war was declared on 4 August 1914. Within days he signed up for the local regiment, the Royal Warwickshires along with many of his workmates. He became a soldier in their 9th (Service) Battalion – this was the first new battalion formed by the regiment in August 1914, an element of the so-called Kitchener Armies. The 9th Royal Warwickshire, under Major W. A. Gordon, landed in the early morning of August 4. During the first two days (August 6-7) of the attack they were in divisional reserve, but advanced up Aghyl Dere. On August 8 they crossed Bauchop's Hill to the ridge beyond, part going to relieve the 9th Worcester at the head of Aghyl Dere. The New Zealanders had captured Rhododendron Ridge on the previous day, and on August 8 followed up their success by winning Chunuk Bair at the southern end of the main ridge. The crisis of the attack came on August 9 with the assault of Koja Chemen. Three battalions—the 9th Royal Warwickshire, the 6th South Lancashire, and the 6th Gurkhas—reached the crest, whence they could look down on the waters of the Dardanelles and seemed to have victory in their grasp. But the troops on the right, through no fault of their own, were late, and when the Turks rallied to a counter-attack our men were forced back to the lower slopes from whence they started. One company of the Royal Warwickshire held on, till they were surrounded, and, as it is supposed, all perished. Next day the Turks attacked in the early morning with disastrous results. The trenches were enfiladed by machine-gun fire, and since no supports were available it was impossible to hold the remainder of the crest on Chunuk Bair. 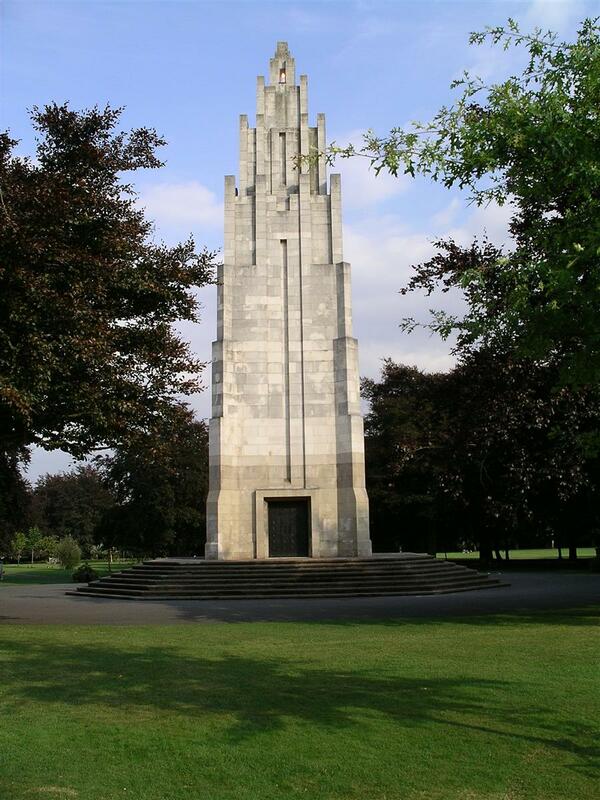 When at night the Royal Warwickshire was withdrawn to reserve no officers and only 248 men were left. Major Gordon had been wounded on August 8, and Major A. G. Sharpe, who succeeded him, was killed two days after. During the four days 5 officers were killed, 9 wounded and 1 missing; of other ranks 57 were killed, 227 wounded and 117 missing. For their service on these days Majors Gordon and C. C. R. Nevill received the D.S.O. For a short time the Battalion found itself under the command of a Warrant Officer (Sergeant-Major Collicott). Several officers were found and reinforcements joined, and two of the missing men found their way back to the battalion. By 14 August they were back in the line at Farm Gully. Lionel was wounded at some point in this frantic week’s activity, wounds from which he died on 14 August. HARRIS – Aug 14, died from wounds received in action at the Dardanelles, Pte Lionel Arthur Harris, 9th Battalion Royal Warwickshire Regt, fourth son of Alderman and Mrs Ernest Harris, of the Broadway, Newbury, aged 20. Alderman and Mrs Harris, of the Broadway, Newbury, have sustained severe bereavement in the loss of their fourth son, Lionel Arthur, serving in the 9th Battalion of the Royal Warwickshire Regt, who has died in hospital from wounds received in action on August 14th. He was 20 years of age, and was educated at All Saints, Bloxham, and Newbury Grammar School. At the time of his enlistment, August 1914, he was serving his apprenticeship at the Humber Motor Works, Coventry. After training at Salisbury and Aldershot, he went out at Whitsuntide with his regiment to Egypt. In July they were transferred to the Dardanelles, where he has laid down his life for his country. His brother Alan, who is in the 19th Royal Fusiliers, is now on leave, and is in charge of the business during his father’s convalescence. An elder brother, Claude, having served through the South-West African Campaign, has returned to England with the intention of seeking further active operations in Europe. Ald Harris, who is recovering from a recent serious illness, is staying at Bournemouth with his wife, and it is hoped that the great shock will not retard his recovery to health and public usefulness. While it might be expected that a man dying in hospital would have a known grave this is not the case for Lionel; it is possible that he was buried at sea from a hospital ship on the way to Egypt or Malta. His name is remembered on panel 36 of the impressive Helles Memorial to the missing at the tip of the Gallipoli Peninsula overlooking the entrance to the Dardanelles. Locally he is remembered on tablet 10 of the Newbury Town War Memorial and also on the Speenhamland Shrine, the parish memorial for St Mary’s, Speenhamland which, since the demolition of St Mary’s in 1976, is located in St Nicolas’ Church, Newbury. 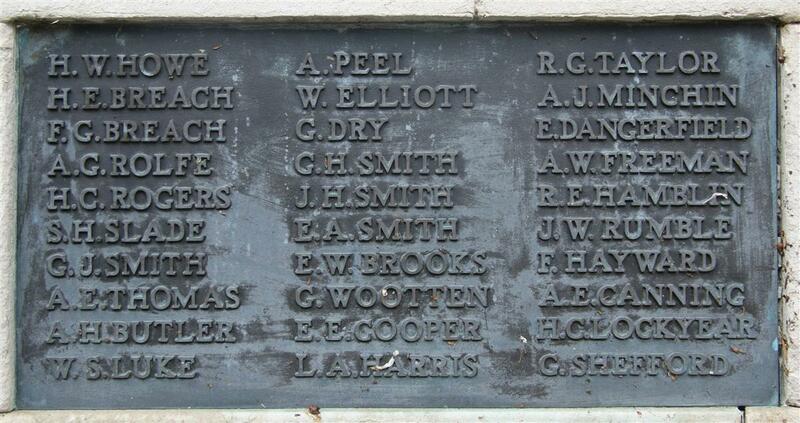 He is also remembered on the Newbury Grammar School memorial at St Bartholomew’s School. Elsewhere he is remembered on the war memorial at Bloxham School and on the Coventry Roll of Honour placed in a room called the Chamber of Silence in the city’s 90ft high war memorial. 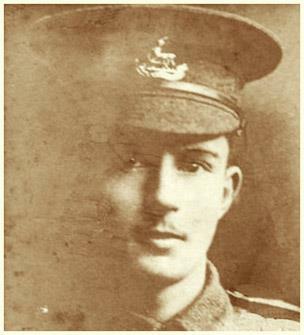 Lionel’s four brothers were all of military service age at some stage of the war, though the youngest, Paul Harris, was not 18 until 1918 and would not have been eligible for overseas service until the last months of the conflict. There is no firm evidence that he ever served, though, if fit he would certainly have been conscripted on or about his 18th birthday – since most soldiers’ service records were lost in a fire during WW2 it is unlikely that further information will come to light. The eldest of the brothers, Cecil Edwin Harris, was 28 in 1914, 30 when conscription was introduced in 1916 – so he was eligible to serve, but there is no clear evidence that he did. He may be one of the many soldiers and sailors named Cecil Harris who served, but there is inadequate information available to identify any of these as this particular Cecil. Claude Harris was in South Africa when war broke out and volunteered to service in the campaign against the Germans in their colony of German South West Africa (now Namibia). This short campaign successfully overwhelmed the small German force and Claude was free to return to England. Back home he declared his intention to serve in Europe, presumably in the infantry. However, perhaps influenced by Lionel’s fate and Alan’s experience (below) he opted to enlist in the Royal Navy on 28 September 1915. He served as an Electrical Artificer, mainly in shore establishments or depot ships until his discharge in April 1919, though he was at sea for nine months (December 1915 to September 1916) aboard HMS Albemarle, a pre-Dreadnaught battleship which spent most of that period in Russian waters off Murmansk, acting as an ice-breaker in the colder months. Alan Harris served in the infantry in France and Flanders as private in the 19th (Service) Battalion (2nd Public Schools Battalion), Royal Fusiliers and later in the Labour Corps. He had enlisted on 3 September 1914, which is reflected in his low regimental service number - 440; he landed in France with his battalion on 14 November 1915. Very nervous insomnia & slight temp. Has a marked hesitation in speech. Is quite unable to answer if spoken to suddenly owing to stuttering. Should be transferred to a mechanical unit as is in danger of being shot at any time by our own sentries. Alan was suffering from what was known as the time as Shell Shock, today the term used is Post-Traumatic Stress Disorder. After another year with the Royal Fusiliers in various non-combatant battalions he was transferred to the 27 October 1917 to the 349th Agricultural Company, where his skills as a mechanical engineer could be used in a less stressful form of service. He was demobbed on 12 April 1919.